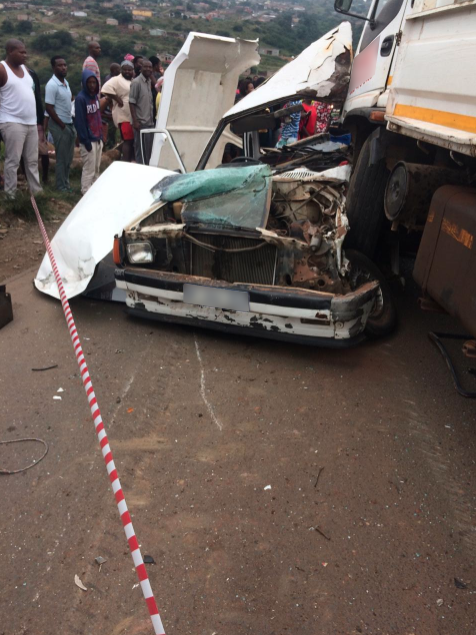 One man was killed and seventeen others injured this morning, including several children, when a bakkie and truck collided head-on on the France Main Road in the France Location in Imbali, KwaZulu Natal. ER24 paramedics, along with other services, arrived on the scene shortly before 08h00 to find both the bakkie and truck in the middle of the road. Several children were found lying scattered around the scene. Paramedics set up a triage area and began assessing the patients. One man, believed to be in his 40s, was found lying trapped inside the passenger seat of the bakkie. Unfortunately, the man had already succumbed to his injuries. Nothing could be done for him and he was declared. Seventeen other patients were assessed, including several children aged between seven and eighteen. Assessments showed that their injuries ranged from minor to moderate.